To say that there is a little bit of Anna Daniels in her character Lucy Crighton as portrayed in her novel Girl In Between, set in Rockhampton, Australia would be pretty accurate. The affable Australian author, who is an award winning television presenter for her work on the Australian network ABC and who has produced and contributed content for radio and television including the BBC production John Bishop’s Australia, grew up in Rockhampton and like Lucy Crighton whose kelpie (a breed of dog) is her constant companion, Anna Daniels also has a kelpie. Lucy the character and Anna Daniels in real life share career similiarities and Brian, Lucy’s dad Brian seems to at least in some ways resemble Daniels’ own father. The Crighton family is to say the least a very interesting family and so are their friends, Lucy’s best friend Rosie and then there is the matter of Oscar and Ben, the two lads who move their mother in next-door to the Crightons. The Crightons are not a dysfunctional family at all, we prefer the term refunctional (yes we invented that word) and once you get to know them they will teach you how to rethink the things you thought you had all figured out. Girl In Between is one of those titles immediately wants you to pick up the book and find out what it is all about or if you see it online you want to do a web search to find it. That title is the result of a bit of an evolution. 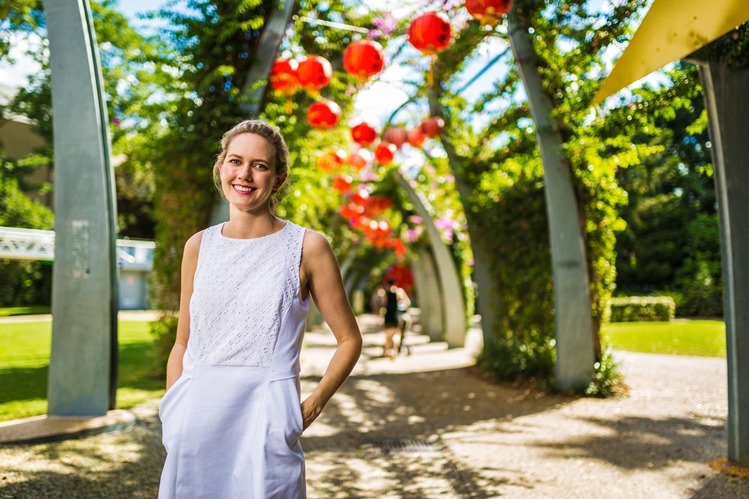 “Originally I had titled my book Rocky Road, because it is set in Rocky (Rockhampton), but one of the first things that my publisher Louise Thurtell said to me was the first thing I should do is to change the title. She said for anyone who did not know that my book is set in Rockhampton if they just saw that cover on the shelf with Rocky Road they might think that the title was a bit of a downer (Editor’s Note: or Anna in North America it is also the name of a scrumptious ice cream!). You take onboard the advice of all of the people who are experts in their fields. That set off a chain of events and we had to come up with a title. I had every man and his dog trying to think of titles for me. Tina my sister-in-law, who is from Germany, came up with the title Girl In Between and that was great, because it really captures the action, because Lucy is in between worlds, careers and cities. The lovely book cover, which I am really happy with is designed in such a way that the London streetscape is falling down at the top and then you have the regional Queensland streetscape down at the bottom and then there is Lucy jumping in between the words Girl In Between. It all ties together,” says Daniels. “I started writing Girl In Between in 2013 and I initially started writing it as a screenplay, because I have always wanted to write a funny romantic comedy, sort of a heartfelt screenplay. I am a really big fan of humor that not only makes you laugh, but also takes you on a bit of an emotional journey and that pulls at your heartstrings too. The comedy that I love is like Four Weddings and a Funeral that great British romantic comedy a while back and there is a great BBC series called Gavin & Stacey. I submitted the first episode of my screenplay to ABC television here, which is a big national broadcaster and they enjoyed it, but they said (suggested that) I try looking at turning it into a feature film. They thought it lent itself more to that. I thought rather than doing that I might just complete this as a novel. I turned it around and I finished it as a novel at the end of 2013. It was over a six month period and it was very short at 38,000 words. It wasn’t until 2013 with the Australian publisher Allen & Unwin and I when I was on their website I saw that they had a competition for the Vogel Literary Awards. The Vogel Literary Awards here in Australia are for an unpublished writer age thirty-five and younger. I was thirty-four at the time and I also saw that the minimum word count for entries was 38,000 words and mine was (you can hear the smile in her voice) 38,230, so I entered (the competition). Sometimes you cross your fingers, but then you never think again what might come of it. Then as the year progressed in 2015 into early 2016 I got these rather cryptic emails saying that my manuscript was progressing through the judging rounds. This was really exciting for me. This was my debut manuscript. In early 2016 I got this most amazing phone call telling me that I had been short listed for the Vogel Literary Awards. I almost fell off of my chair when that happened. As you can imagine in a young writer’s life to be short listed for a major literary award in Australia was quite a massive deal for me. I went to Sydney for the awards ceremony and I think in the back of my mind I knew that because my manuscript was so short that it wouldn’t take the top prize. What I really hoped would come of it and my dearest wish was that a publisher would recognize the potential in my manuscript and would wish to work with me to get it to the best it could be and to a where it could be on the shelves. That’s exactly what happened. I went to this awards ceremony and there was a who’s who of the writers and the publishing industry all in one room and I met this amazing publisher called Louise Thurtell who worked for Allen & Unwin. She said to me send me your manuscript, I know it’s too short, but I’ll have a look at it. I sent it to her and within the week she got back to me and she had read it. She said I hope that we can turn this into an amazing novel and I think you have the talent to do so. That was just amazing to receive that feedback from her,” she says. However, there was also an interesting encounter between Thurtell and Anna Daniels’ parents the same day that she attended the Vogel Literary Awards. With a certain amount of glee in her voice Daniels relates the story. She begins to laugh and then says, “Yes that was quite funny. I took my parents along to the Vogel Literary Awards. My dad is pretty straight talking and he calls a spade a spade and he is a country man. When I first met Louise she asked if I had brought anyone along. I said that I had brought along my parents and she said I would love to meet them. I introduced Louise to my parents and then I went to get all of them drinks. I turned around to look at them and it was so funny, because my parents had Louise trapped in between them on a couch. She wasn’t going anywhere and I went over there and I said Louise how are you getting (along) here with my parents and do you need me to save you from them? She said no I love your parents. They all got along pretty well. Louise grew up on a sheep farm just outside of Orange, which is another little rural town in New South Wales in Australia. I sort of knew that Louise and I might connect and get along well, because we are both from the country. It is so funny, because apparently at one stage my dad said to Louise, so are you going to be able to help this daughter of mine out or not? Louise apparently said, ‘You know her manuscript is too short, so she would have to write another 40,000 words and my dad said, oh Louise she could do that in her sleep. He told me that the next day and I thought oh my God. I said ahh, dad I’m not going to get any sleep now that you said that to her. It was quite funny and even a year later they still send each other cards on birthdays and they are all good friends. It was really wonderful meeting Louise, because I realized in this industry all that you need is for one person to believe in you and someone who is in a position to be able to help you. When that person emerges in your life then they can really make things happen for you. From there I just wrote, wrote and wrote. I wrote my little heart out and I was guided by Louise. I wrote for six months last year and I finished in January of 2017. I got the word count to over 80,000 words. Exactly one year after being short listed for the Vogel Literary Awards my book is now on the shelves. That is essentially the journey,” she says. Pure elation, bliss and euphoria would all be superlatives that could be used to describe the way Anna Daniels felt the day she received the first hard copy of her book. “It was an amazing feeling and it was surreal. It was a moment that was a bit hard to describe. I got the parcel in the mail and then I opened it and I took that book out and I banged it against my head, just to make sure that it was actually real. Then I ran my fingers over the cover and I felt the glossiness of the letters. I flipped it over and I saw how they had done the layout on the back and where they had put a little picture of me. I opened up the very first page and even the silly little things like seeing the little symbols with the copyright name next to it and the year and seeing how they had set the font on the title page. All of these things gave me a great rush of excitement. To see the dedications to my mom and dad and to my friend who had suddenly passed away it was very special. To read what I had written on this laptop of mine, but that was now appearing to me in a book form, in a hard copy form that was an incredible moment. My publisher had said to me don’t read you book anymore on your laptop, just wait until you get it as a book, because it always reads and appears differently when you read it in a book. It is so true. It was just such a different reading experience for me to read what I had written in a book. It was incredible and it was really an amazing moment for me,” she says. So who is Lucy Crighton and what is she like? Spill the beans Anna, but no spoilers, because we want our readers to buy your book. “Lucy Crighton is in her early thirties. 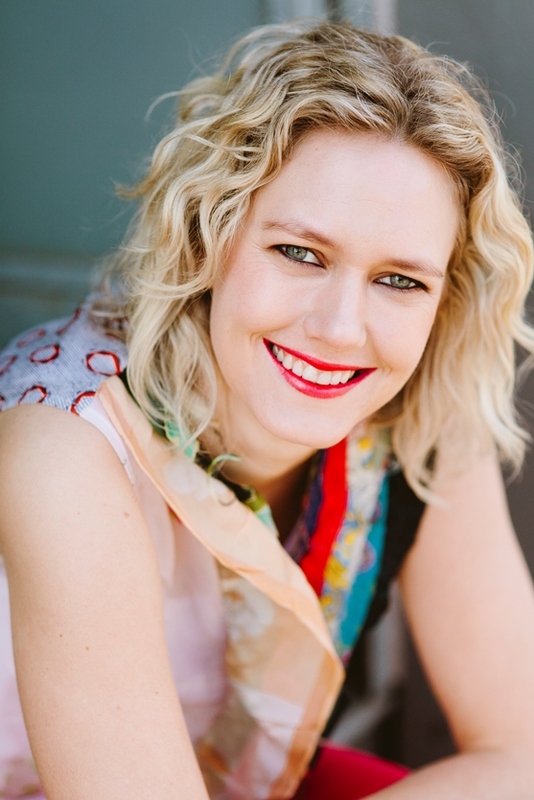 She is a journalist and she has had a bit of a hotshot career in Melbourne in Australia. She is in the TV industry and she was doing well down there, but she decided to follow her heart and follow her boyfriend up to the far north Queensland with disastrous consequences. She has a setback from that and she ends up back with her mom and dad and the family home that she grew up in Rockhampton. Now Rockhampton is right in central Queensland on the tropic of Capricorn. It is a small town with about 60,000 people. It is the beef capital of Australia and there is a bull statue on every corner in Rocky. It is a really lovely quirky place and really gorgeous to visit. I wanted to set my book there, because I wanted to capture that feeling of regional small town Australia in a very heartfelt affectionate way. Lucy Crighton is back at home living with her mom and dad and her best friend Rosie who is a little bit wild lives just around the corner. Lucy’s mom and dad play an integral role in Girl In Between. All that Lucy’s mom wants is for Lucy to get back on her feet and to get back on track. Meanwhile Denise (Lucy’s mom) is going through a bit of a life transition herself, because she and Brian have recently retired from All About Town the combination news agency and dress shop that they used to own on the main street in Rockhampton (Yes you read that combination correctly!). Denise is trying to find her way, so she is experimenting with African bongo drums, Tai Chi, meditation and different sorts of stuff. She is trying to find her groove in life. Denise is obsessed with Cher the singer, so she always has Cher’s music playing and she is always quoting Cher to her daughter in an attempt to try and motivate her. I had great fun finding Cher quotes for Denise to roll out to her daughter. Denise is a very loveable, quirky, larger than life and fun character. Lucy’s dad is Brian, who is a typical country Queensland man who says what he means and there is not much of a filter there between what he says and how it might impact on people, so I could also have some fun with his statements. He is not a mean guy, but just a straight country farmer type of way. Of course Brian is also battling a few of his own demons and they come out in the course of my book. You realize that there is a bit more going on with Brian as well,” says Anna Daniels. The first draft of Anna Daniel’s manuscript had her killing off the character of Rosie, Lucy’s best friend, but Louise Thurtell convinced her to rethink that part of the book and as it turns out that was a good decision. “One of the first things that Louise said to me when she read Girl In Between was does Rosie really have to die? I think that she is absolutely comedy gold. She said I want Rosie to be my bestie too. I really don’t want her to go. In the end I took my publisher’s advice and I am glad that I did. Rosie doesn’t die, but I also created a heck of a lot of work for myself, because not only did I need to increase the word count, but I had to change the whole latter chapters of my original story, if Rosie didn’t die. It was a challenge for me and one that I have loved. Rosie is turning out to be a lot of people’s favorite character. Rosie is the best friend that every girl wants to have, because she doesn’t care what people think. She is very unapologetic about the way that she lives her life and she doesn’t overanalyze things or get caught up in what she should be achieving by this stage or what people expect of you. She was great, great fun for me to write as well,” she says. It should not surprise anyone familiar with the Australian cattle scene or that knows Anna Daniels that a kelpie named Glenda is Lucy Crighton’s constant companion. A kelpie is a working dog commonly used to protect and herd sheep and cattle. Anna Daniels also has a kelpie only her dog is named Banjo. Before we stop with the description of…hmmm shall we say interesting characters that one will find in Girl In Between, let’s take a moment and talk about Lucy Crighton’s love interest Oscar. Daniels says, “Well of course I had to have a very eligible young bachelor and Oscar is a bit of a dreamboat. It is not plain sailing for Lucy and Oscar. There are a lot of hiccups along love’s pathway, so there are definitely a few obstacles that each have to overcome. When Anna Daniels sat down to write this, her first book she was in her early thirties and the same hopes, dreams and concerns that she had about her life were being echoed by her friends. “I thought I reckon some of these things are universal and they translate no matter what country you are in. Being in your thirties is quite a different decade than being in your twenties. In your twenties you seem to be able to get away with a lot more stuff and there is no expectation that you will have had things sorted out in your life. Then suddenly when you hit your thirties there seems to be more of an expectation that you might have settled down and that you might have children that you might know exactly where you are going with your career. For a lot of my friends and I that wasn’t the case. I wanted to tap into that feeling of still being at a bit of a crossroads in life and not being too sure of what you want even though you might feel that you have things figured out by now,” she says. The formidable task of taking her manuscript from 38,000 words and adding another 50,000 words to it taught Anna Daniels a few things about herself, “I set for myself a goal of writing over one thousand words a day and if I got to 750 words a day I would give myself a pat on the back and if I got to a thousand I would be really pleased. I learned that nothing is out of reach. The challenge to me that seemed insurmountable was not. Once I rolled my sleeves up and started to do it, I could do it. I think that experience has shown me that you can have confidence in yourself and you can do anything. Is Anna Daniels one of the world’s top authors? Not yet, but we would not bet against her becoming one. 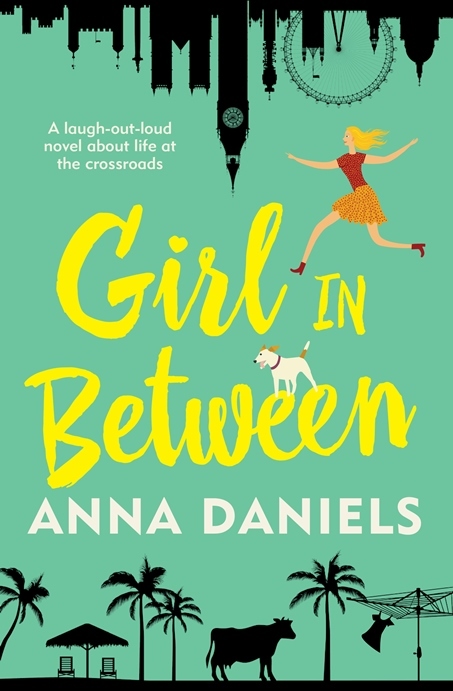 In a world where people much of the time take themselves and others far too seriously, Anna Daniels and her RomCom novel Girl In Between provide a breath of fresh air and her quirky characters remind all of us that it is still okay to have fun. Remember even if this adventure takes us all down a Rocky road it is the Girl In Between who makes this a fun time for everyone.